Hey Friends I put together 3 different gift guides for you today! 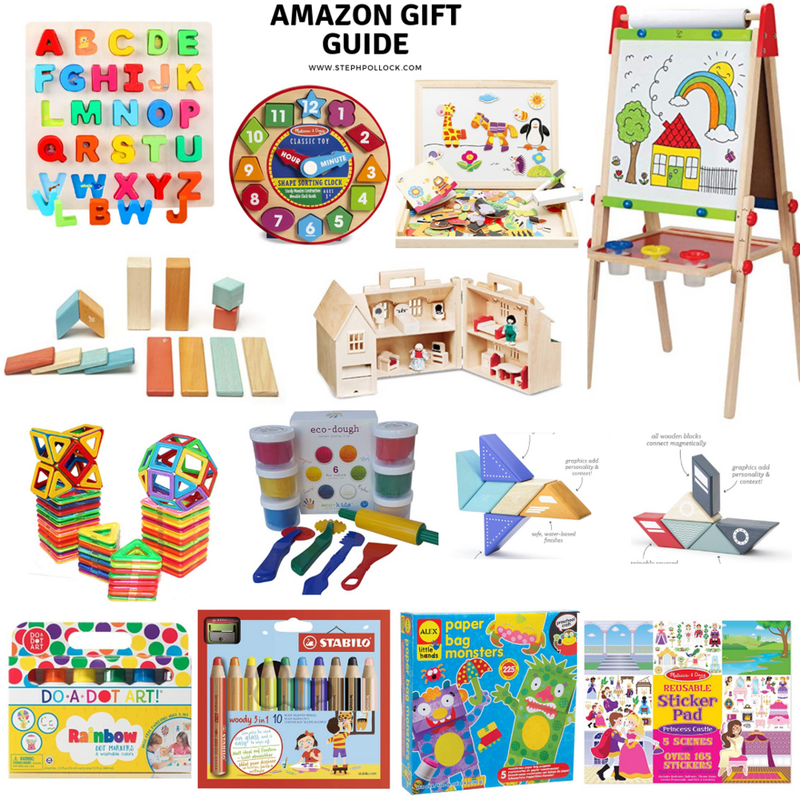 Small shop, Little Girls and an Amazon list full of toys and crafts. When it comes to Christmas shopping we try to keep it simple and not go overboard with gifts. We try to stick with the “want, need, wear, read ” method. When it comes to family buying gifts, we ask for experiences or passes to museums or the zoo, but I know gift talk can sometimes be sensitive. So we often store away new toys for a rainy day or as a special reward and bring them out one by one. I hope these help your shopping be easier and fun this year! I have a few other gift guides up my sleeves too. Rainbow Pyramid . Wooden Ice Cream Set . Wooden Stacking Rainbow . Octopus Puzzle . 100 Piece Blocks . Wooden Tea Set . 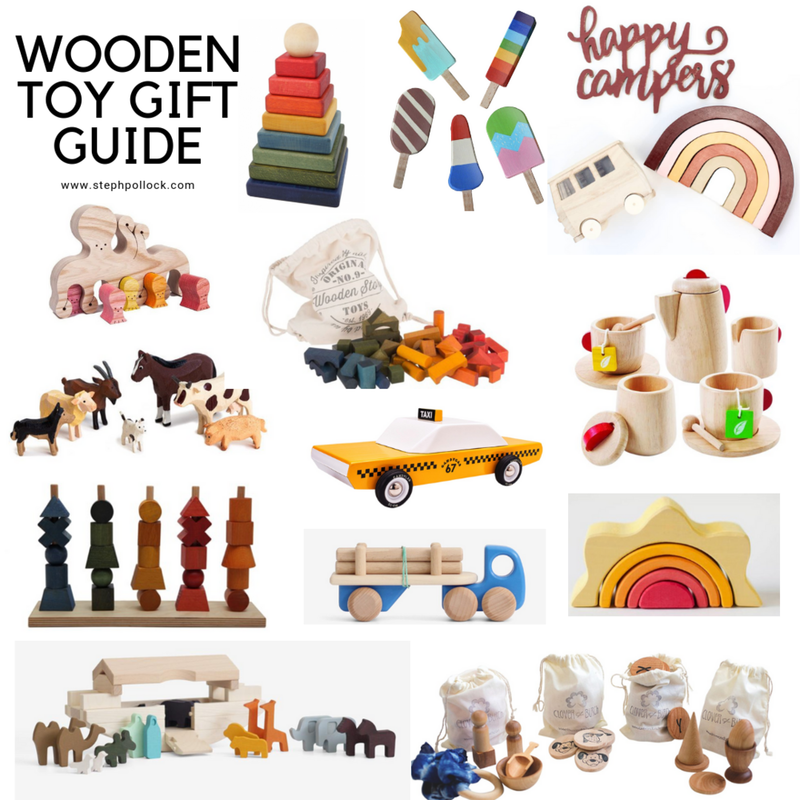 I had so much fun putting together this little gift guide. It’s based off of what Olive is getting for Christmas and a few other brands we love. We are getting Olive that cute pink bike for Christmas and I can’t wait for her to see it! She is going to be SO happy. A few notes, I love getting holiday Pjs but also feel like they are for 1 night, so these above come in 10 different colors and are under $15. I adore all things Maileg Mouse and though they are a little pricey they are so darling and timeless. Olive has 2 already and loves playing with them. Then we always include a book with each of the girls gifts and try to make it about Christmas, Jesus or Winter! We love the If you Give a Mouse a Cookie series on Netflix so this one is right up our alley! Matching Game . Little Adventures Dress Up Clothes . Magnetic Wooden Blocks . Doll House .